Do you choose a word for the year? I've been contemplating one that encompasses my desired focus, and this verse seemed fitting. I'm still indecisive about my word choice, but share yours in the comments if you know what it will be. May we be Spirit-filled! Thanks for hosting & God bless! Yes! Thanks for joining, and may God bless you, too. I have not yet decided upon a word, but I am leaning towards "Simplify." Beautiful shot of the fruit, Jennifer! So is simplify what you decided on or something else? 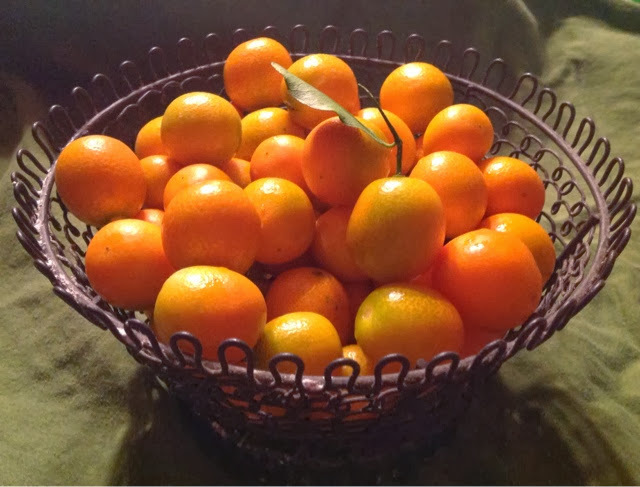 I should go back and credit the picture, my oldest daughter took that one after they picked the kumquats. I have a bowl on my counter that looks so similar :) This week I will be remembering this Scripture. Thank you so much! That was a housewarming gift in a set of 3 from a dear friend, and I use them all the time. Blessings to you, too.